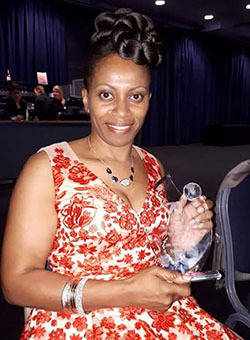 Nurses' achievements were at the forefront of the NHS England’s Windrush awards in Manchester on June 12. The event marked the 70th anniversary of the arrival of the ship Empire Windrush, which brought workers from Caribbean countries to the UK – as well as the start of the NHS. More than 11,000 members of the public nominated black and minority ethnic (BME) NHS staff for 11 award categories. Although there was only one dedicated nursing category, six nurses received awards – two retired nurses, a cardiology nurse consultant, a matron for oncology and haematology and two mental health nurses. Royal Wolverhampton NHS Trust (RWT) matron for oncology and haematology Doreen Black won the top leadership category. Ms Black said she was 'over the moon' to win and said previous generations of BME staff in the NHS had left a legacy for others to build on. The clinical excellence award for nursing catergory winner was community mental health nurse and nurse prescriber Dennis Singson of Sussex Partnership NHS Foundation Trust. Other nurses who took home awards were, cardiology nurse consultant and nurse angiographer Ghazala Yasin, who won an innovation award, mental health nurse Judith Fairweather who took home the 'unsung hero' award, and retired nurse Comfort Offorjindu who won an NHS lifetime achievement award. Retired nurse Beatrice Akyeampong shared an aware for addressing health inequalities with her daughter, sexual health consultant, Vanessa Apea. NHS England's director of the workforce race equality standard implementation programme Yvonne Coghill said: 'The contributions of black and minority ethnic staff to the NHS over the past seven decades cannot be overstated. 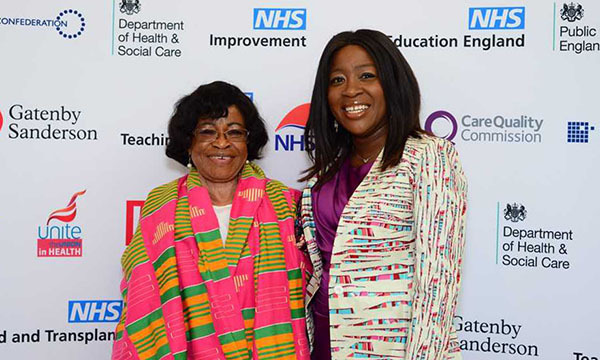 Ms Coghill, who was a CBE in this year's Queen's Birthday Honours for her services to racial equality in the NHS, was given a special recognition award, alongside outgoing chief nurse for England Jane Cummings. A special recognition award was presented to 92-year-old Alford Gardner, who travelled as a passenger on Empire Windrush on June 22 1948.